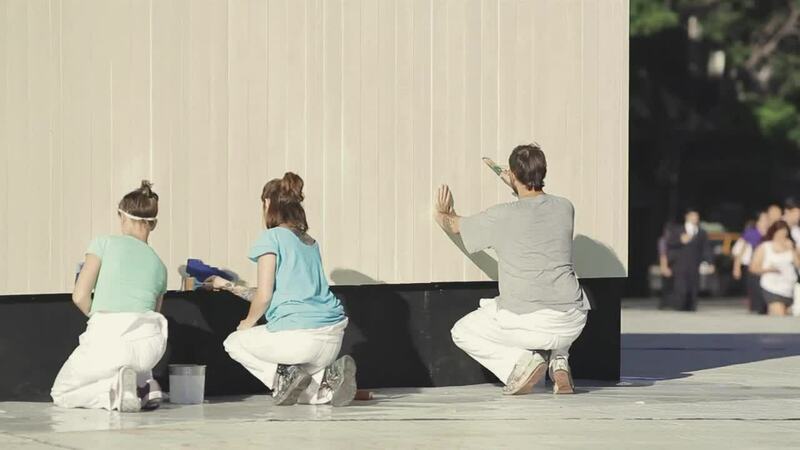 Tikkurila and advertising agency DDB from Helsinki have launched this nice video ad. The paint brand decided to go straight to their potential customers. The group of painters went out to the street and painted a huge temporarily built wall with Tikkurila. The idea was to demonstrate how the wood paint endure through all seasons. The video is complemented with stop motion, which added creativity to the ad.